Last Wednesday night, two of your correspondents enjoyed an hour or so of beer heaven. The afternoon had started off in typical fashion, sharing post work bevvies with pommy_ch and lamb0 on the Back of the Ferry. Pommy_ch and lamb0 had to adjourn to their regular Wednesday darts match – but illiards and I had an appointment with the Yardarm Taphouse. 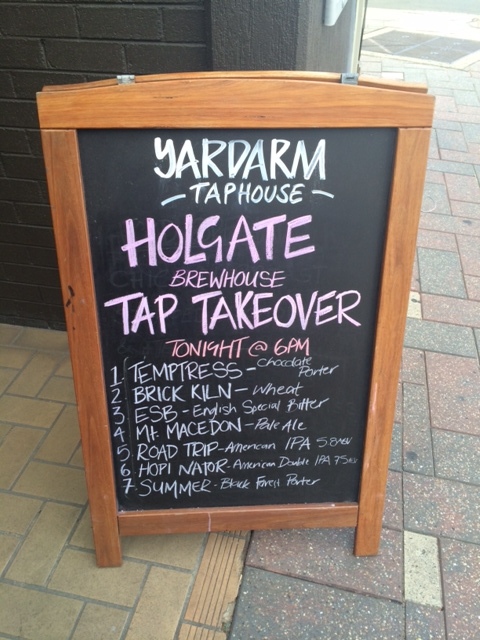 For the last three weeks the Yardarm had been advertising a tap takeover by the Holgate Brewhouse. 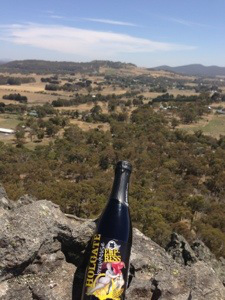 I’ve been fortunate to visit the Holgate Brewhouse in Woodend, Victoria but both visits were fleeting. Much more convenient that the Yardarm brings Holgate to Manly. The Yardarm is really starting to put it together. Piet, the General Manager, is a terrific bloke and is building a rapport with the regulars. Amazingly for this venue (but maybe not this management), the bar staff have been the same for at least a month! The space in the Yardarm meant that a band (as opposed to a lone troubadour) can provide some tunes. The Cardboard Animals were that band on this particular evening and they have a very cool sound. Some mates also visited the Yardarm for the SuperBowl and rated their time there. illiards and I were relatively early starters and Piet very kindly introduced us to Paul Holgate – the founder and brewer behind Holgate Brewhouse. We had a fabulous session with Paul and it was fascinating for us to hear his stories about starting out, his approach to brewing, the economics of running a brewhouse and sticking to his philosophy, his approach to brewing and living a life in Woodend and its surrounds. Great guy to have a chat to over some beers. We worked our way through some beauties. The Yardarm’s had the Black Forest Porter on for a couple of weeks now – and it’s bloody good and worth seeking out. 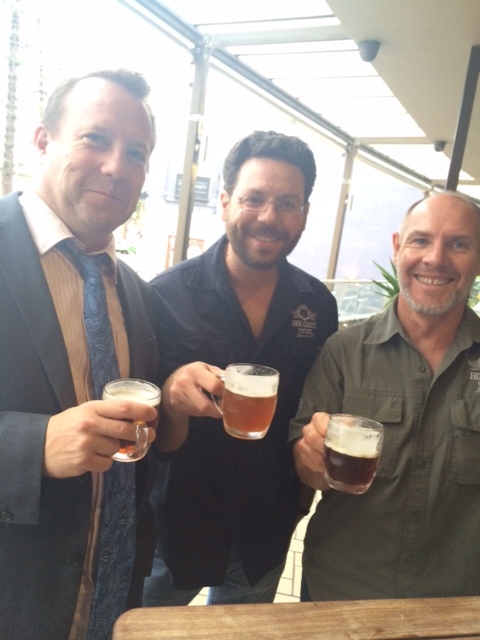 Wonderful to be able to try Hopinator on tap in NSW and not out of a tasting cup at a beer festival. So thanks, Yardarm, looking forward to more of these. Hanging out for a drink after work? T’was a good evening indeed! Hopefully the guys at Yardarm can continue to put on events like this and get more bums on seats and craft beers in hands in the process. See you guys there next time! I had a good time also, more events would be great. Especially Beer Dinners. You guys should check out 33 degrees at the new brighton. They had the craft beer rising on sunday and have the six string tap take over in a few weeks.